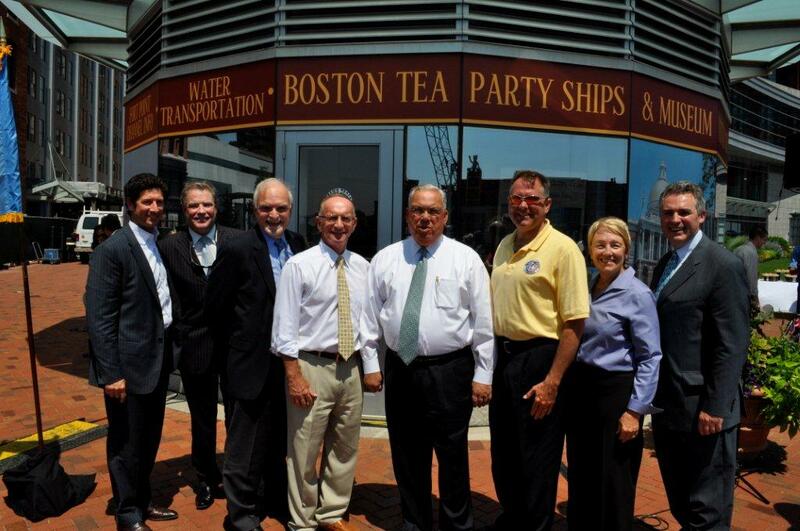 We had a fabulous event on July 6 to launch the new Boston Tea Party Ships & Museum Visitor Center. The information center is a glass-enclosed gazebo owned by the Intercontinental Hotel, located on the North side of the Fort Point Channel between Congress and Summer Streets (at the end of Pearl Street). The center will provide information and ticketing for 14 Boston tours and attractions, including The Freedom Trail Foundation, Boston Harbor Cruises, New England Aquarium, Old Town Trolley Tours, Boston Children’s Museum, and the Museum of Science, among others. This entry was posted in Boston, Boston Events, Boston Museum and tagged boston attractions, boston tea party ships and museum, Boston Tours, boston visitor center. Bookmark the permalink.